Email marketing is widely used in every corner of the world in order to attract prospects, make promotions, increase conversion rates and just expand brand's awareness. 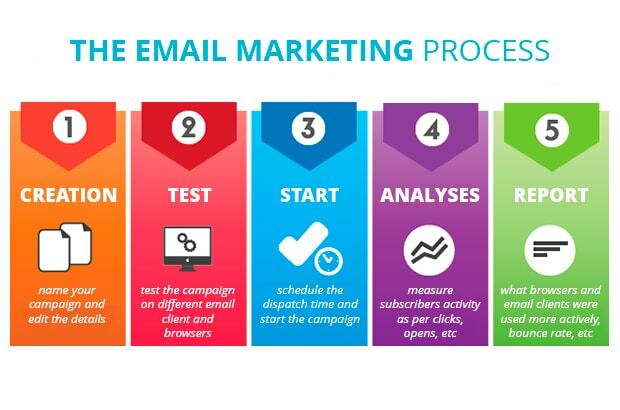 What makes email blast that much efficient for small business is email marketing tools. Almost every organization runs a newsletter. Sometimes it's getting hard to cope with a large scope of actions required for the implementation of one letter. No one is impressed by regular text messages anymore, that's why psd to email template conversion is the first thing to come up with. Though beautiful design does not necessarily mean the success of the entire campaign. Sending emails manually you can fail choosing the dispatch time, dealing with limited number of recipients and many other important aspects. As a result sending messages becomes ineffective, basically useless and even harmful for your ecommerce business. Email marketing tools allow making the management of all these tasks much more automated and professional. The email marketing software platforms we are going to feature in this article make a significant contribution to digital marketing. Let's find out what they are and which one is better for your own business. This platform is quite popular for its flawless performance with different eCommerce CMS, such as Magento, WooCommerce and Shopify. Not only can you automatically operate newsletter, there is also a possibility to add other useful for ecommerce features to your campaign. Among these helpers there are an opportunity to set auto followups about sold items, reminders and other. What is special about MailChimp is that it is very flexible. It has multiple campaign report features, using which you are able to track activity of every prospect. Analyzing buyers behavior on the site and order records it lets you proceed based on this data. Such a customer-oriented infrastructure allows creating unique campaigns, just for your target audience. It is also well-known for the message customization feature. If you wish to send colorful and informative messages and save some money on design services at the same time, MailChimp offers a great solution. Its email designer feature has a rich set of built-in editing tools, with the help of which you can without effort create attractive campaigns yourself. As for the pricing, there are several variants that you can go with. Startups can develop using a free New Business options, whereas Growing Business or Pro Marketer plans would be a better choice for more mature organizations. The pricing depends on the quantity of subscribers and messages that you are going to send in a month. The plans are highly adaptive, so you can change your email marketing strategy along with the rise of your venture. This emailing software is free to set and has simple and pleasant user interface. It has a variety of HTML templates, customizing which it is possible to create visually appealing messages without having technical skills. For those who are more tech-savvy there is an option of adding HTML changes, besides Constant Contact offers a free support in case you've experience any difficulties managing the tool. It has a wide range of the campaign reports, that help to measure your subscribers activity. This way you can easily find out who and how many times have used the links in the message, how many recipients have unsubscribed from the newsletter, and so on. It also formats your messages, that ensures that all your subscribers can receive the electronic mail, even if their devices can't read HTML. If you use standard email systems, you are unable to control a spam activity, they simply don't have such an option. Thus, you risk losing your audience and the entire system as well, since your email server will be blocked and you will have no idea why. Spam complaints record is one of the best Constant Contact features, it can timely help you out if your campaign generates spam. There are two services packages, both offer a free trial option. Prices depend on the set of offered goodies and the number of your contacts, starting at $15/mo. Each account has 30 day money back guarantee and can be canceled any time for free. This service has more than 15 years history at the market of e-mail newsletter marketing and has drawn many adepts during this time. It also offers all the necessary features for successful newsletter, plus dedicated manager, free support and training if needed. It lets you create your own templates or use a set of default ones that you can change to your taste with drag and drop editor. There is an auto-responders feature, scheduling them just for your customers interests you are able to boost the conversion rates. Among its advanced analytics tools there is integrated A/B testing. Which is great for startups, since testing users activity, you will be able to find the weak spots and turn them in more clicks, redirects and sales. Allowing keeping track of the campaign performance in a real time, GetResponse provides full stats that are crucial for email marketing. There are 4 flexible pricing plans starting at $15/mo and a free trial period of 30 days. Each package includes additional features, though monthly fee may vary according to the number of recipients on the list. Due to an impressive quantity of opportunities, this e-marketing software features a complete automation of the newsletter. It has multiple monitoring and behavior analyzing tools, customizable design templates, auto-responders, follow-ups and much more. The platform uses tagging for subscribers segmentation. This is an effective email marketing solution, that allows personalizing each contact, and so improving your marketing. There are a few variants of applying the tags, which make it even more convenient. One more special feature is a split testing. With its help you can test up to 5 variants of your email in order to differentiate the most working one. You just need to create a few versions and the system will send each message to certain subscribers. Analyzing the performance of each campaign you will be given the best variant to send to the rest of your recipients. Active Campaign has a smart user interface, working with which doesn't require much couching. It also offers convenient integration with more that 150 apps, so you can save quite a lot of time and make your e-marketing even more automated. Free trial period is shorter that those offered by other emailing platforms, just 14 days. However, the monthly fee starts at $9, which is a great way to go for organizations with limited budgets. This mail service is widely used by small and medium-sized e-commerce projects. It also doesn't require programming skills to work with and has editor for newsletters creation. Soundest follows most modern and recent web designing trends and ensures that all your e-messages will be responsive, so that recipients would be able to open them on their smartphones and other mobile devices as well as on desktops. There are lots of features that help to attract and engage customers. Thereby your recipients will get auto reminders if they missed your first electronic mail, messages about the items they left in cart and other personalized messages, such as birthday cards. This highly-effective analyzing system is based on the customers' actions on your e-store. This allows you to not only entertain the active buyers, but also to rebuild relations with passive ones. On the Soundest website there is an option of calculating the price per month by picking a number of your prospects. Such a calculator lets you set the Premium plan in accordance to you budget in an interactive and easy manner. Forever Free package offers less additional features and a certain amount of emails to send per month. And the last mailing tool we are going to review is AWeber. 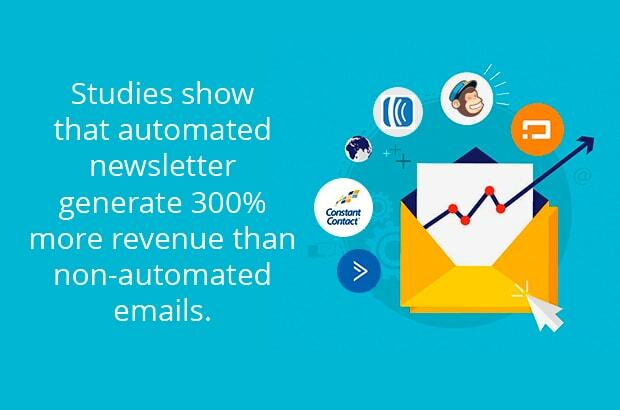 It is considered one of the best platforms for email automation marketing. It has an editor for creation of your own templates and gives technical savvy users an opportunity to do custom coding, allows sending scheduled followups and targeted e-letters. The software integrates smoothly with other platforms like WordPress, Magento and lots of others. To target your audience there is a Subscriber Segmenting feature, that lets you measure users activity. You can see what they have purchased, what links they clicked on, how much money they have spent, etc. To make even more personalized messages, there are additional fields for subscriber form. You can ask your potential buyers what country they are from, what products they wish to find and other essential data. The more details about your audience you know, the more targeted your campaign can be. Moreover, the sign up forms are mobile responsive and customizable. You can create a form to your taste, split test it and have it hosted by AWeber in case you don't have your own site. This way you can prepare a client base even before launching the website. AWeber offers 30-day free trial you can avail of. Paid accounts include different features and services and the prices differ as per the number of subscribers (starting at $19 for 500 addressees). There is an interactive tool for price calculation on the AWeber site, using which you can easily pick the right plan just for your needs. Today online shopping occupies a significant place in our lives. Such a high demand results in a rapid growth of the entire niche and technologies. There are many eCommerce development services for business enhancement, various tools and techniques. No matter how strong your e-business is, a huge part of the success depends on the loyal customers. Marketers build numerous strategies and schemes that would attract new customers to their product. 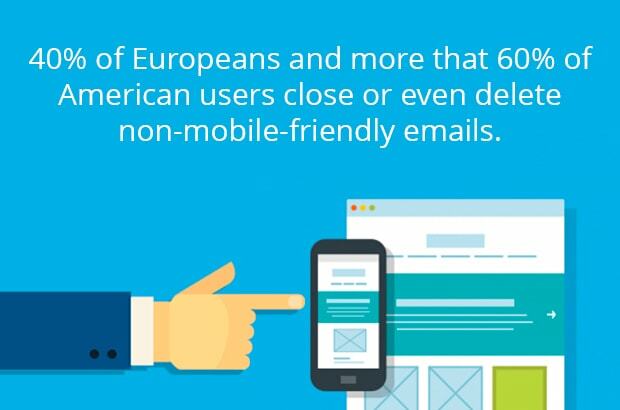 Still, email marketing remains the leader in audience capture. Automation of this process made a real breakthrough for the future of ecommerce. The software tools we have considered above are not just a bulk mailers, but robust all-in-one email marketing platforms. Nowadays every organization requires solid online presence and brand awareness, whereas email marketing is integral to these goals. Is there an ideal email tool for everyone? Use of such automated emailing tools is a must-have for those who plan to develop and modernize their own venture. However, it is important to keep in mind that there's no one ideal tool for the needs of every organization. They all have their unique useful features and specialties, that's why some marketers use a few of them at once. To get started you need to weigh the pros and cons of each platform, highlight what features are irreplaceable for you, estimate the list of potential subscribers and e-letters you are going to send per month. Bring all these aspects together and you will be able to elevate your ecommerce to a qualitatively new level.